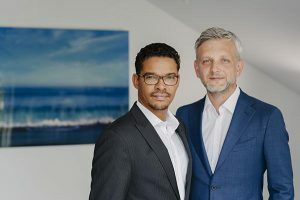 A change at the top of Bendalis GmbH: As of 1 July 2017, Christian Parvany (39) will join the management team of the company as Dr Helmut Wolf ends his tenure as managing director of Bendalis GmbH, a position he has held for more than ten years. Dr Wolf will remain at the company as a partner, continuing to support the company’s development. Christian Parvany has been with Bendalis GmbH since 2012, most recently working on the introduction of our supportive care portfolio as head of sales and marketing. He will be responsible on the management team for business development, human resources, and sales and marketing. Otherwise the management team remains unchanged, with Malik Malocho (40), managing director since 2014, now assuming responsibility for supply chain management, finance and controlling.